This iconic cycling event is open to everyone with a bike. In 2016, we will be based at Romanes Park in Havelock North. The different courses will take riders through scenic Hawke’s Bay countryside. The on road courses will take cyclists through the magnificent countryside on peaceful country roads. The 100km and 50km solo and tandem rides will take riders through the scenic Tuki Tuki Valley. The shorter 10km & 20 km rides will encompass the picturesque roads around Havelock North. There will be face painting and a bouncy castle to keep the little ones entertained alongside refreshments and light meals available at the Romanes Park. 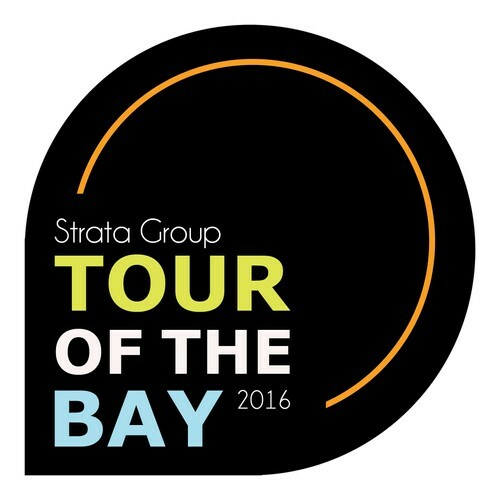 Once again, the day will be filled with fun and entertainment with fabulous spot prizes and giveaways up for grabs, we look forward to seeing you there at the 2016 Strata Group Tour of the Bay on October 15th! We are proud to be sponsored once again by Strata Group Consulting Engineers Ltd and together with Ramblers Cycling Club, we aim to grow cycling in the Bay.